Posted by Jenni Fredrickson on November 16, 2017 at 3:57 PM. Filed under LED Lighting, How To, Safety & Security, Mobility . Depending on whether you love getting out on the lake, going camping, hiking, or just spending some time outside on a beautiful day, your need-to-pack list might be wildly different. Your camping gear may require a first aid kit and a tent. Hiking calls for good, solid shoes. And your lake trip may have you transporting water skis and a lifejacket. 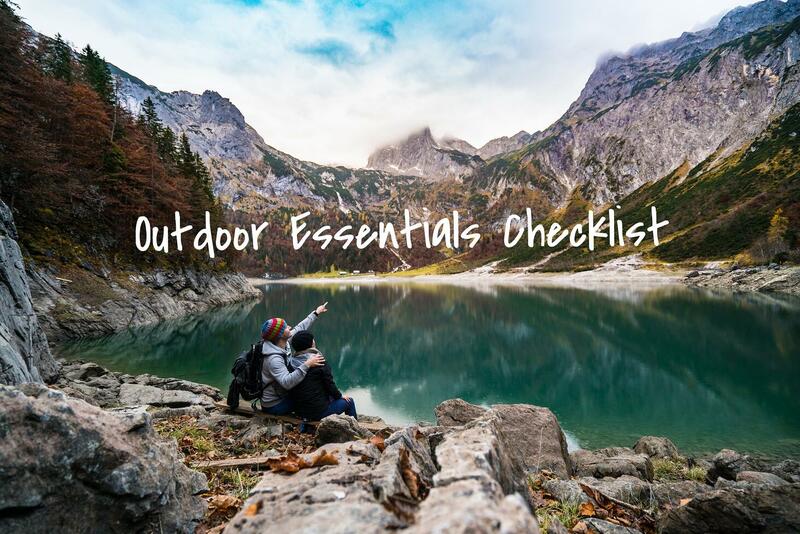 However, these 5 outdoor essentials are must-haves for your packing list and are suited for any outdoor activity you have your heart set on. 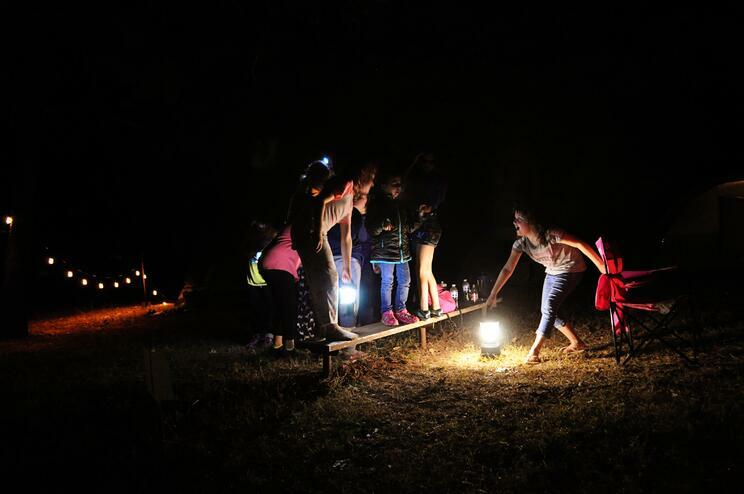 We took these items along on a recent camping trip with my daughter’s Girl Scout troop and really put them to the test. The importance of hydration cannot be overstated. Always carry water with you whenever you spend time outdoors. Pick out a water bottle that works for your needs, because you won’t use it if you don’t carry it with you. There are a large number of options out there with BPA free, stainless steel, vacuum sealed amenities, but I like this one from Corkcicle that fits an entire bottle of wine for sharing around the campfire. Ok, I guess that means you need to bring two. You should never find yourself in the situation where your phone dies. Being able to contact loved ones or call for help is just as necessary as having a first aid kit on hand. In case of emergency, always make certain you have a backup charger for your phone or other devices. EcoSurvivor has several durable options that can easily be thrown into a backpack to keep your adventures well charged. The EcoSurvivor Battery Pack has the capacity of 9,000 mAh which is about four times larger than your average phone battery. 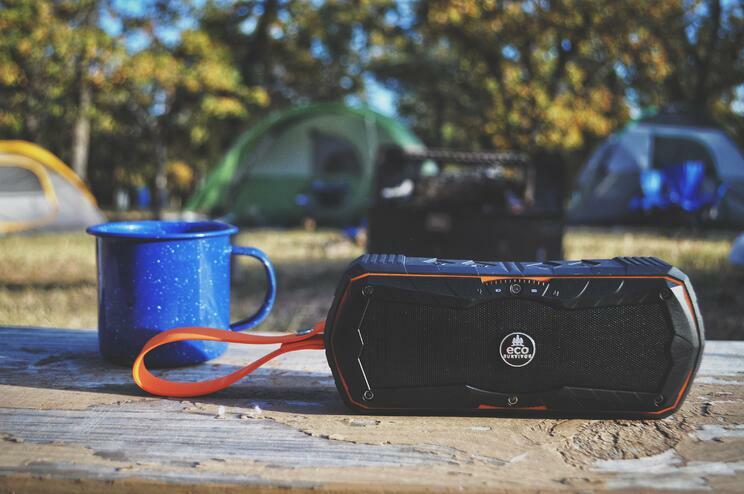 The EcoSurvivor Bluetooth Speaker has an integrated battery pack with a capacity of 4,400 mAh. But what is much more appealing, is that it allows you to play music on your device while it is charging. With respective IP ratings of IP66 and IP65, these gadgets are protected against rain, splashing water and dust. You can also feel good about using these products because 50% of every EcoSurvivor purchase goes back to support clean water projects and helping save lives around the world. The weather can affect what you need to bring. Of course, in the summer, you’ll want shorts and in the winter, you need flannels. But what do you pack when it’s 47° in the morning and 85° in the afternoon? Layers! Make sure all your clothing options are durable and can survive whatever outdoor adventure you find yourself on. Seek out practical items with features such as rain-repellant or breathable fabric, reinforced knees and elbows, or items that roll up to take up very little space when you need to remove a layer. It’s also a good practice to wear your outdoor items before taking them out on a hike. You don’t want to be stuck wearing an item that irritates your skin without a backup. 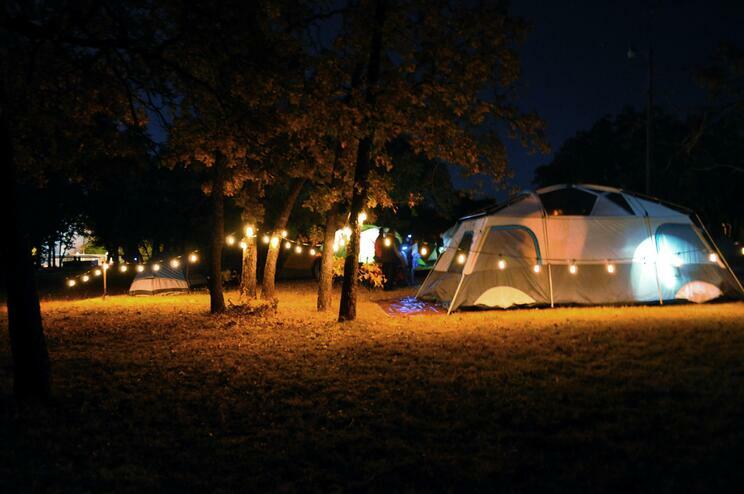 If your outdoor activities keep you out late, make certain that you have a dedicated light resource. Bring along a lantern such as this one that's durable and battery-operated. The rugged rubberized finish, impact-resistant construction, and IP54 rating means this lantern can handle just about anything you throw at it. If you just don’t have extra space, clip a tiny Pyramid Tent Light onto your backpack. This 24 lumen LED light is lightweight and can be hung from the top of your tent to provide extra visibility. Another space-saving option is this durable Micro Headlamp. With a 50-meter beam distance, as well as a tiltable housing to raise or lower the light as needed, the powerful LED will keep your path well lit during a hiking excursion or early morning run. We also brought along some Enbrighten Vintage Cafe Lights and a very long extension cord on our trip. They were very useful, in addition to being pretty. We arrived at our campsite just as the sun was going down and needed some extra light to get our tents pitched and the campfire started. We lucked out in that there was an outlet not too far from our designated spot and we wrapped our Café lights around nearby trees to achieve a nice glow to help us finish our setup. I’m not gonna lie, when I got my wedding photographs back and I saw that my new husband’s uncle wore a fanny pack to my wedding, I was shocked. My mouth dropped open and I just stared aghast at the fashion faux pas being committed. But everything old is new again. Scrunchies and fanny packs are just a couple of the retro items that seem to have come back to what is considered trendy. So before you head outdoors make sure you have a plan and supplies for staying hydrated with water bottles, charged with portable battery packs, organized with bags and storage, warm or cool with proper clothing, and plenty of lighting sources for every outdoor activity. Get all your durable outdoor tech gear and portable LED lighting now at ecosurvivor.com. Shop now and help save lives with your purchase.